Manningham requires a mass-transit solution to its public transport problems, and until heavy rail can be delivered, an interim solution is required. The present bus transit system to and from the CBD compromises travel time by having to compete with other road-based transport along its route, and in particular, at the entry and exit points along the Eastern Freeway leg of the commute and along Hoddle Street and Lonsdale Street in the CBD. 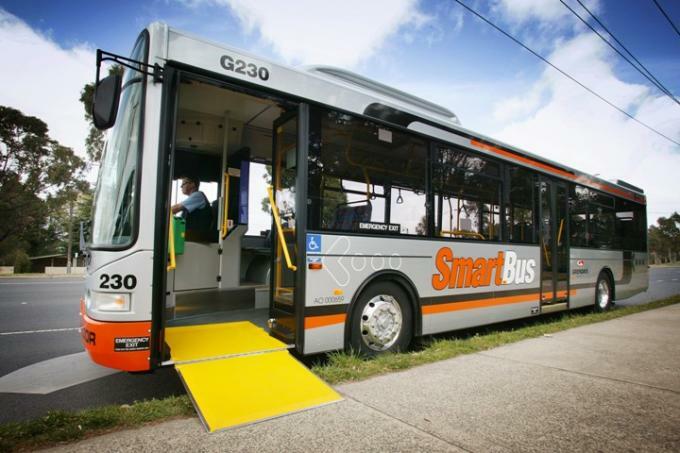 A key step will be consideration of an upgrade of DART to a full Bus Rapid Transit (BRT) network between the Doncaster area and Melbourne CBD, with dedicated priority and reliable, high-frequency and accessible bus services. This will require an extensive upgrade of DART route 907, with the provision of a dedicated busway along the Eastern Freeway and adjoining roads, including Hoddle Street, Alexandra Parade, Lonsdale Street and Doncaster Road. This will provide uniform improvements to bus priority on the existing road network, as was recently implemented by PTV and VicRoads along Victoria Parade. A dedicated BRT network can provide signiﬁcantly improved transport capability to the region, with short headways between buses, very frequent services, and priority treatment to reduce delays and provide a reliable level of service. A BRT network can also be delivered at a far lower cost (to implement and operate) than heavy rail and provide for a suitable dedicated public transport service between the CBD and Manningham in the interim, as a short to medium-term solution to the future provision of heavy rail. BRT will also enable the preservation of the Eastern Freeway median west of Bulleen Road for a public transport purpose, as well as the creation of a new dedicated reservation east of Bulleen Road.